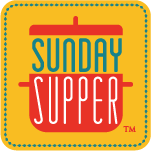 Drop by the Sunday Supper Movement to see the whole picnic spread out on our virtual blanket. This is a virtual picnic so you can "bring" whatever you like, right? And "X" is a difficult letter to find any food to fit the bill. I decided to attempt to step up to the plate and create my own spin on this unusual soup. Xavier Soup is a clear soup with chicken and dumplings made of flour. After a little research, I found that Xavier Steak is an American dish of steak topped with asparagus and melted Swiss cheese. I'm a sucker for anything covered in cheese, so I put my soup in little mugs, sprinkled and bruleed the cheese on top, sat on the back deck while enjoying the last vestiges of Spring with a slight cool breeze. Now that the temps in my region of North Carolina are rising to the high 90s, virtual soup is about the only thing I'll be enjoying for quite some time. In a medium bowl, combine the flour, cream, butter, Parmesan cheese, ground chicken, salt, pepper, and eggs into a soft dough.Using two spoons, form quenelles (balls) of the chicken mixture to make quarter-sized dumplingsBring the chicken stock up to a simmer and all of the dumplings and boil until they are tender and cooked through, 8-10 minutes. Once all the dumpling are cooked and in the chicken stock, ladle the soup into bowls (or drinking mugs) and garnish each soup vessel with equal amounts of Swiss cheese. 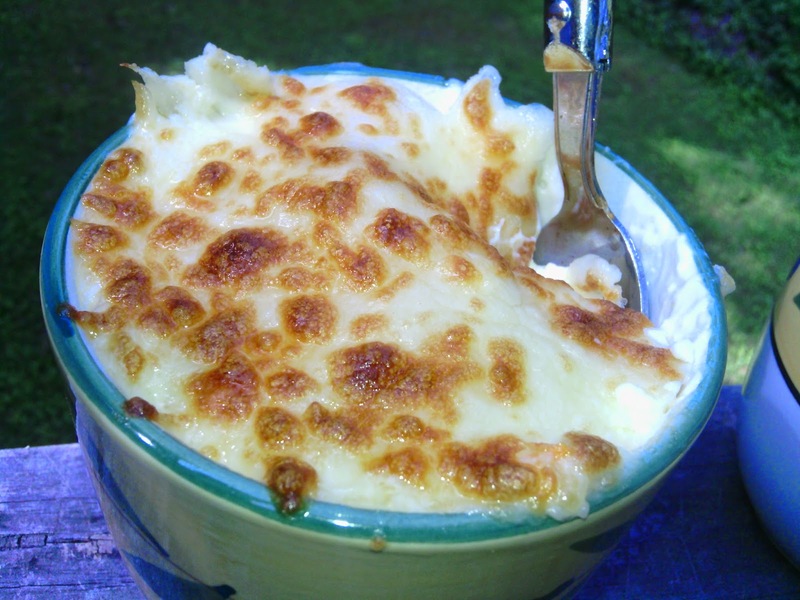 Place under a broiler and melt cheese until it bubbles and is golden brown. Serve immediately. I love soup all year round! I'll take a bowl please! Soup with a cheesy topping certainly trumps all other soups!!! What a yummy recipe! I'd happily eat this soup at a picnic. Heck I'd happily eat your soup anywhere! It looks fantastic! Fortunately it usually stays cool enough to enjoy soup all year long because if there is one time I crave soup it's in the summer. Go figure, right? I would love to try this!